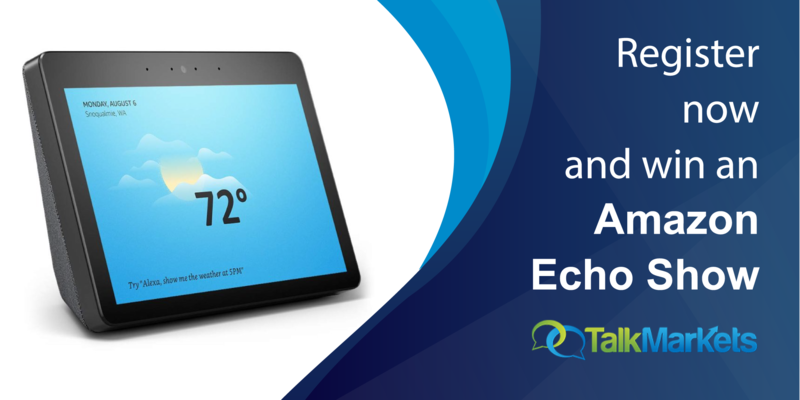 A key characteristic of this correction during its early stages in late September and October was the unrelenting selling pressure that went on during regular trading hours. While futures were either flat or even pointed higher on a lot of trading days, the selling began pretty much immediately after markets opened at 9:30 AM ET and didn’t let up until the 4 PM close. This type of intraday selling is not a bullish sign, so today we wanted to update the readings to see where things stand as the correction closes in on three months in length. Below we show the cumulative change since 9/20 (the date of the high for the S&P) of buying SPY at the close every day and selling at the next open (after hours) versus buying at the open every day and selling at the close (intraday). If you only owned SPY after hours during the current correction, you’d actually be in the green with a gain of 1.1%. Had you only owned intraday by buying at the open and selling at the close, however, you’d be deep in the red with an 11.2% decline. 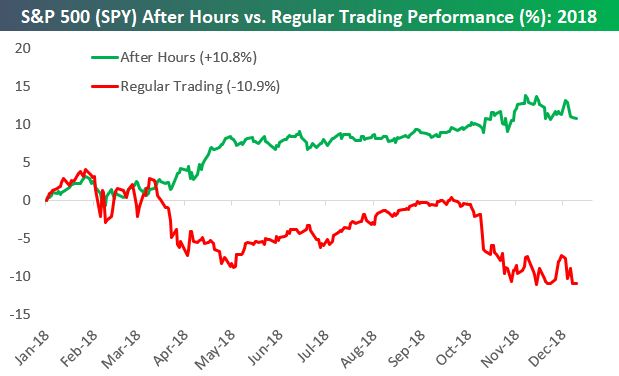 This means that more than 100% of the S&P’s losses during the current correction have come during regular trading hours. Looking at this strategy for all of 2018, had you only owned SPY after hours this year, you’d still be up 10.8%. If you only owned during regular trading hours, you’d be down 10.9%. As you can see in the chart, there were two periods where these two strategies diverged. 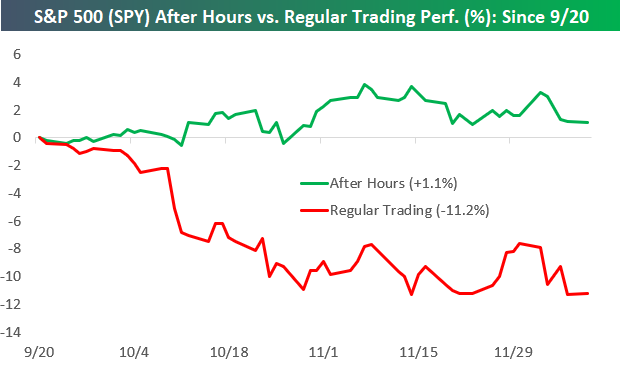 One came towards the end of Q1 into early Q2 when the after-hours strategy traded sharply higher as the intraday strategy plummeted. The second came at the start of the current correction when the intraday strategy started to collapse while the after-hours strategy continued to tick higher.